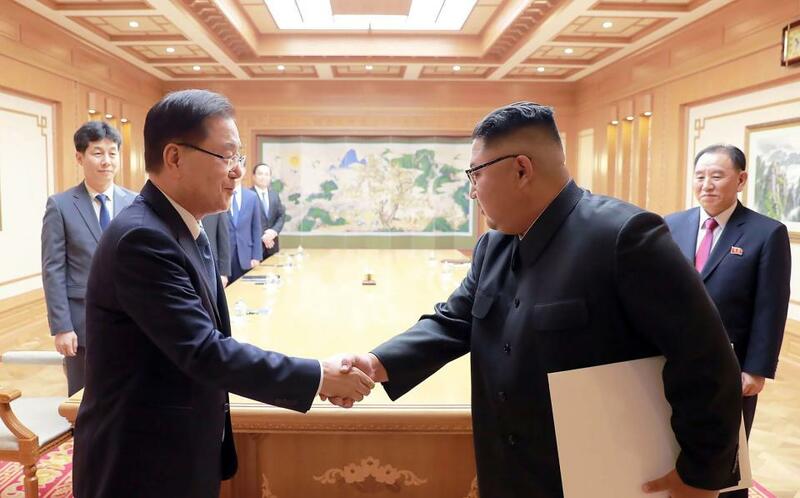 The denuclearization of the Korean Peninsula is not only the game between the US, South Korea and North Korea; instead, matters relating to global peace should be negotiated based on multilateral talks, Zhang Jingwei, a researcher at the Chongyang Institute for Financial Studies, Renmin University of China, wrote in an opinion for news site uschinapress.com. Relations between the US, and North and South Korea have eased, since the three leaders confirmed the common goal of complete denuclearization on the Korean Peninsula and a permanent peace settlement through the inter-Korean summit in April and meeting between North Korean Leader Kim Jong-un and US President Donald Trump in Singapore in June. South Korean President Moon Jae-in aims to make an “irreversible advance” in denuclearization and a peace settlement by the end of this year. However, Zhang believes it is hard to completely realize peace based on the endeavors of the three nations alone. In the process of balancing the national interests of each country, China plays a key role. Zhang said that China's role in Korean Peninsula issues puts it in a difficult place, since if North Korea is destabilized, China’s national security and regional interests in Northeast Asia will be directly impacted. Also, the US unreasonably blames China if relations between Washington and Pyongyang become strained.